Spartak Trnava has under 2.5 goals in their last 6 games. Dinamo Zagreb allowed opponents to score over 1.5 goals in last 13 games. Sheriff scored in last 4 games. Shkendija has over 2.5 goals in their last 4 games. Hapoel Beer Sheva has over 2.5 goals in their last 3 home games. Hapoel Beer Sheva scored in last 8 home games. Dinamo Zagreb scored in last 4 games. Sheriff has over 2.5 goals in their last 4 games. Shkendija has over 2.5 goals in their last 3 away games. xSheriff allowed opponents to score over 1.5 goals in last 12 home games. Spartak Trnava has under 2.5 goals in their last 3 home games. Legia has under 2.5 goals in their last 4 away games. Legia won their last 3 away games. Legia scored in last 4 away games. 36% of Atletico MG’s conceded goals occurred after the 75th minute in Serie A (Brazil). Bahia have scored 40% of their goals after the 75th minute in Serie A (Brazil). 67% of Atletico MG’s matches had over 2.5 goals scored in Serie A (Brazil). Atletico MG conceded at least one goal in 100% of their away matches in Serie A (Brazil). Atletico MG have scored in 86% of their away matches in Serie A (Brazil). 94% of Bahia’s points have been earned at home in Serie A (Brazil). Bahia have scored 93% of their goals at home in Serie A (Brazil). 73% of Atletico MG’s points have been earned at home in Serie A (Brazil). Halmstads BK have scored in each of their last 7 matches in Superettan. 39% of Degerfors IF’s conceded goals occurred after the 75th minute in Superettan. Halmstads BK have scored 2 goals or more in each of their last 4 home matches in Superettan. 67% of Degerfors IF’s matches had over 2.5 goals scored in Superettan. Halmstads BK conceded at least one goal in 71% of their home matches in Superettan. Degerfors IF have scored in 88% of their away matches in Superettan. Degerfors IF have scored in each of their last 5 away matches in Superettan. When CSKA Moscow is down 1-0 away, they win 36% of their matches in Premier League (Russia). 77% of Throttur R.’s matches had over 2.5 goals scored in 1. Deild (Iceland). Throttur R. conceded at least one goal in 83% of their home matches in 1. Deild (Iceland). 70% of Throttur R.’s points have been earned away in 1. Deild (Iceland). Throttur R. have scored 63% of their goals away in 1. Deild (Iceland). Throttur R. have lost 67% of their home matches in 1. Deild (Iceland). Throttur R. have scored 2 goals or more in each of their last 3 matches in 1. Deild (Iceland). IR Reykjavik have scored in 83% of their away matches in 1. Deild (Iceland). 69% of IR Reykjavik’s points have been earned away in 1. Deild (Iceland). 62% of IR Reykjavik’s conceded goals were conceded at home in 1. Deild (Iceland). Leiknir R. conceded at least one goal in 83% of their home matches in 1. Deild (Iceland). Fram Reykjavik conceded at least one goal in each of their last 10 matches in 1. Deild (Iceland). 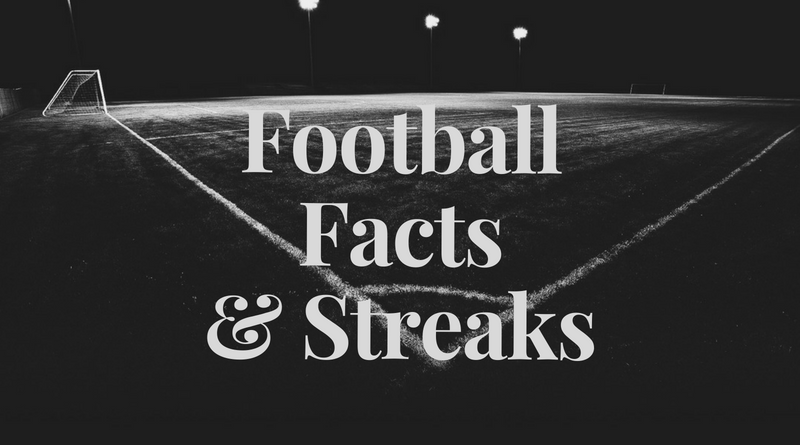 85% of Fram Reykjavik’s matches had over 2.5 goals scored in 1. Deild (Iceland). Fram Reykjavik conceded at least one goal in 100% of their away matches in 1. Deild (Iceland). Fram Reykjavik have scored in 83% of their away matches in 1. Deild (Iceland).